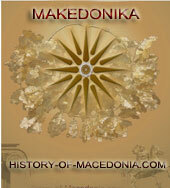 History Of Macedonia – Can Classical Mythology be “explained” through the use of Slavomacedonian vocabulary? Persephone’s abduction by Plouton from an ancient Greek painting on a wall of a tomb at the ancient Macedonian capital of Aegai, Central Macedonia, Greece. 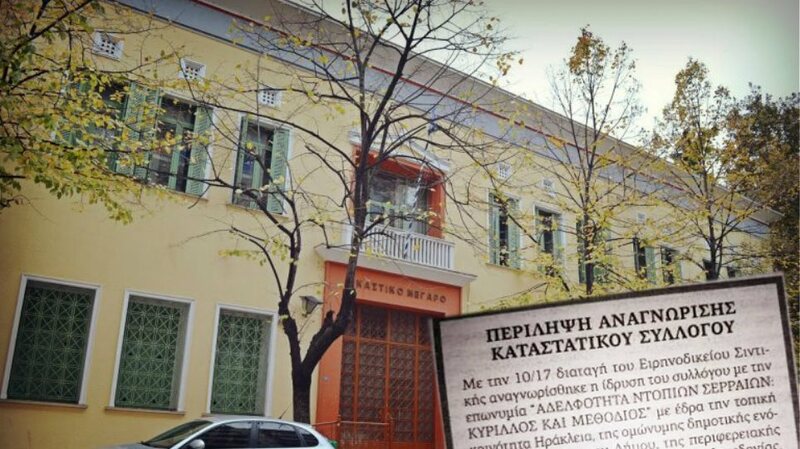 Το παρών άρθρο δημοσιεύτηκε ταυτόχρονα και στο Αμέρικαν Κρόνικλ. A brave new world is dawning on classical studies. A new breed of classical scholars is collectively trailblazing new and exciting avenues of creative knowledge in our understanding of the ancient world, demolishing old taboos about the Greeks and their contribution to civilization. These hereto internationally unknown scholars, professors like Vasil Ilyov, Risto Stefou, Aleksandar Donski, JSG – “Gandeto”, Odisej Belchevski, Aristotel Tendov, Tome Boshevski, and others, whose numbers are on the rise, all happen to trace their descent from that world famous (some would utter “infamous”) beacon of Classical Scholarship, that lies in the southernmost province of former Yugoslavia whose capital is Skopje. I am speaking of course of the Former Yugoslav Republic that insists on being called Makedonija. “Classical Mythology (is) Explained With The Use of Macedonian Vocabulary“. As it soon becomes apparent, once we start reading his article, the writer is wholly unbiased by any superficial connections to the labors and findings of other “modern scholars and scholars of the “Romantic Era” in particular”. 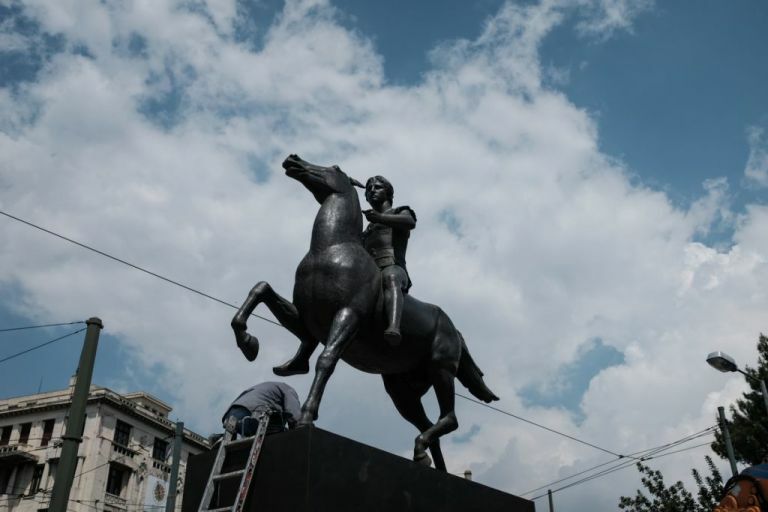 His only bias is to serve the neo-Balkan cult of historical revisionism [locally branded by its opponents as the “Antiquization” or “Bukefalization” (branded so from the name of Alexander the Great´s horse, Bucephalas) campaign] that has taken the small Balkan country by a storm. 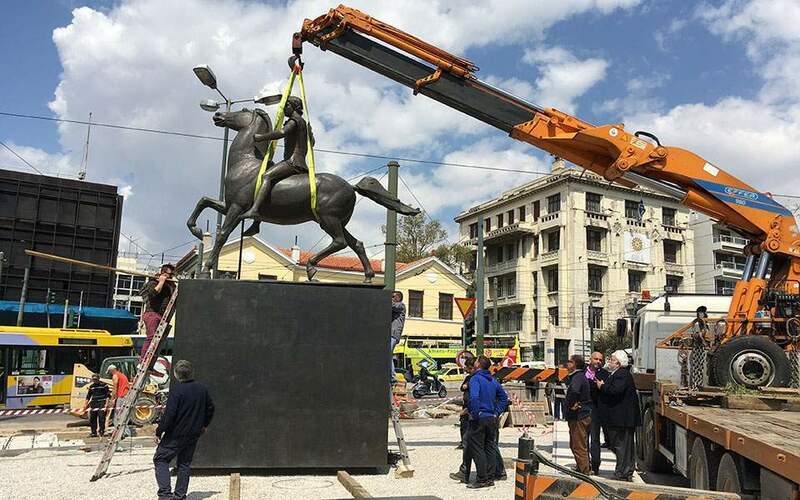 Once someone accepts the basic premise that the modern Slavic-speaking descendants of the Slavonic tribes that entered the southern Balkans in the 7th century AD to be the true descendants of Alexander the Great´s Macedonians, who lived more a thousand years before the Slavs appeared in Macedonia, in the 4th c BC, then everything is possible! We need to stress two things right away. Somehow, Odisej B., who hears people call him by his very Greek name every day, somehow has an aversion to even mention Greeks by name. Wherever the text leads him to say “Greeks” or “Greek Mythology“, I notice that he clicks an internal switch and writes “ancient Europeans” or “ancient European” Mythology, instead. Not that anyone would care for this, but it simply makes for a more generally confusing text. The second thing that catches someone´s attention is Mr. Belshevski´s naively mechanistic way of thinking, when he says that “the ancient Europeans used practical methods for naming their deities”. Somehow I beg to differ with this author, since I cannot possibly visualize a tribal “ancient European” gathering where the tribe´s elders are calling a meeting for the purpose of discussing the burning issue; that of deciding on a new method for coming up with a new practical Proto-Slavonic name for a Deity of the land to be adopted in tonight´s meeting, called for 6:30 pm sharp! I am sure this is not how a divine name was given…Primitive people observing nature and their surroundings (including their on society), always tried to find patterns. This was done in a slow and organic way, that took many years, sometimes whole generations and beyond. By trying to decipher the inner meaning of the cycles of nature and social life, they would inevitably try to compromise their observations with their already acquired common knowledge. This communal knowledge was always codified in religious terms. It was natural to look for answers in divine interference and action within every aspect of their life, whether cyclical or abrupt. Every action already had a name, a word describing it, so it was always easy to make that small step and name the divine “mover” of that action or event after the action he was responsible for. We will come back to this. “glosses” saved by Hesechios and others, which has been classified as a Northwest Greek dialect, like the one spoken by the Epirotes, with strong influences of Aeolian, as spoken in nearby Thessaly. Obviously he cannot be speaking of Slavonic as a possible ancient Macedonian language, since the Slavs had not appeared in the historical account as yet, still residing in the general area around the Pripet marshes of what are now parts of north Ukraine and southern Belorussia. in Macedonia, and fully one thousand years after Alexander the Great and the beginning of the formation of the Koine Greek dialect. Slavonic had to wait for fully 1400 years after the Pella katadesmos text before it was even written down, thanks to the two Greek monks from Thessaloniki that were sent to Moravia to convert the great grandparents of modern Czechs and Slovaks into Christianity, inventing a system, of writing adjusted to their own language. 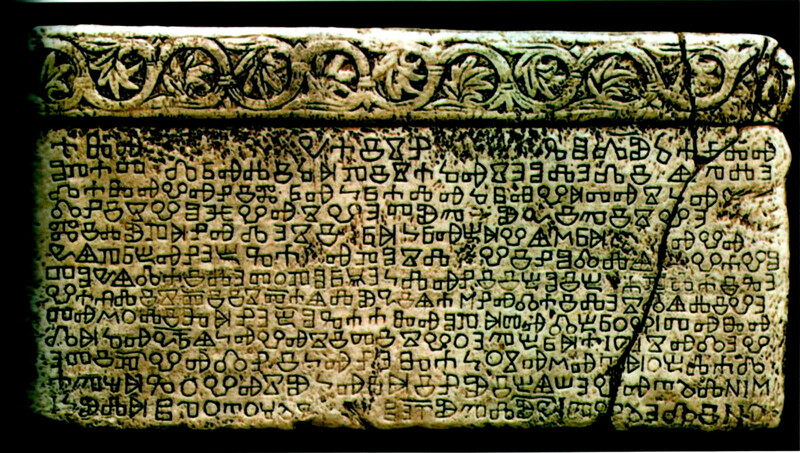 One of the earliest Slavonic existing inscriptions in Glagolitic alphabet, from Croatia, 11th cAD. Having eliminated both Koine and Slavonic as possible candidates for what this author specified as “old Macedonian languages”, we are left hanging. Is he possibly speaking of some (hereto unattested and unidentified) “old Macedonian languages” plus the later attested “Koine and Slavonic”? And where does Alexandrian Koine Greek dialect fall into this? The Alexandrian Koine (“Common”) is a rather late dialect of Greek that is an amalgam of Attic, Macedonian, Doric and Aeolian and other minor Greek dialects, which were mixed as a result of the new society that was created by the conquests of Alexander the Great. 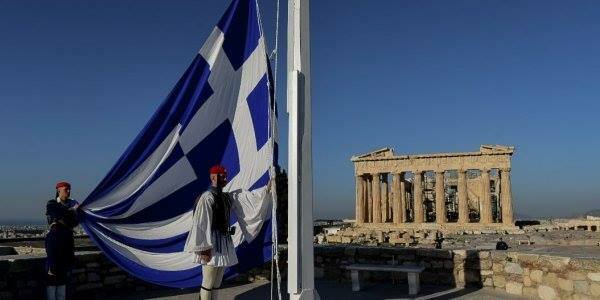 It is the Greek dialect into which the New Testament and all the early Christian scholarship have been written. It will hardly be of significant help for someone who wants to study the earlier sources of Greek Mythology. In order to go to the sources, Ionian, Aeolian and Achaean (linear B) Greek are necessary. This is the most delightfully, politely snarky send-down that I’ve come across in quite a while.